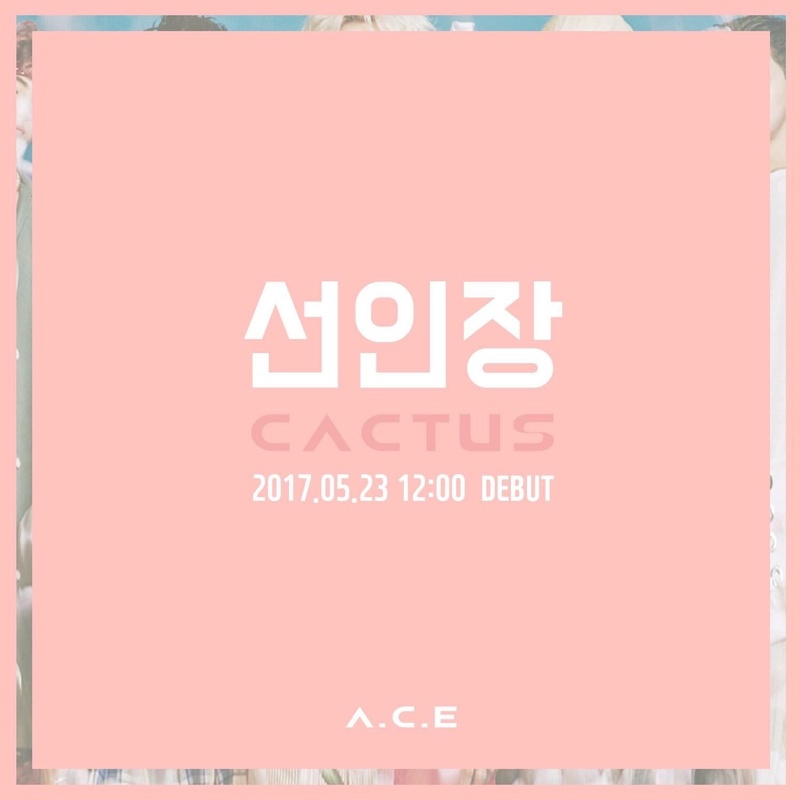 A.C.E (에이스) is a Korean boy group consisting of 5 members: Donghun, Jun, Wow, Kim Byeongkwan and Chan. They are under Beat Interactive and debuted on May 23, 2017. 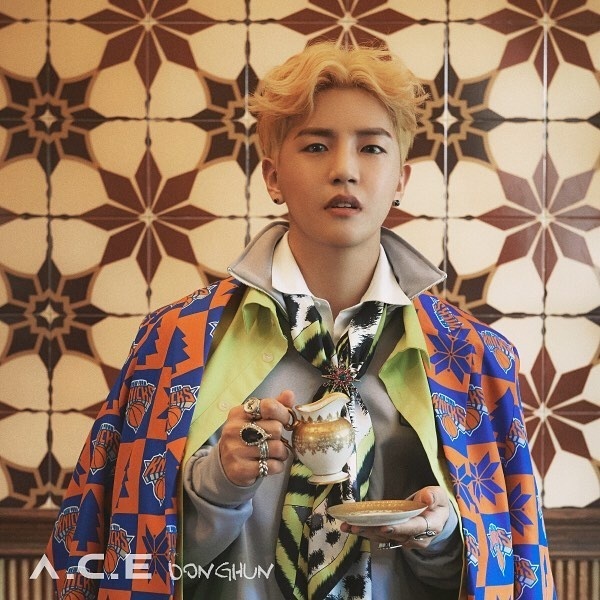 A.C.E stands for Adventure Calling Emotions. 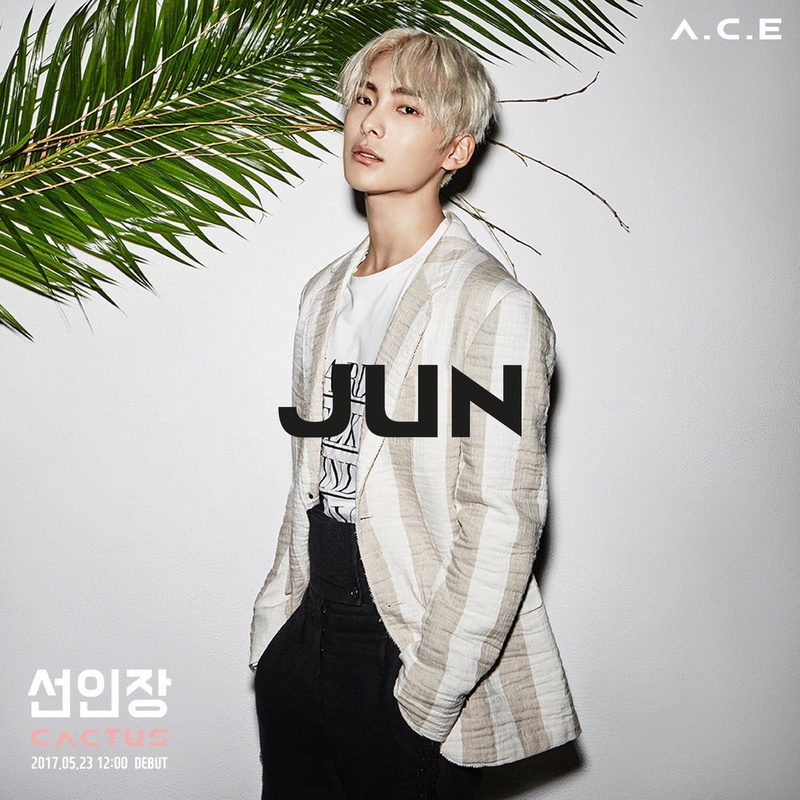 – Jun was born in Suncheon, in South Jeolla Province, South Korea. – He moved to Seoul in order to follow his music career when he was 19. – Jun was a Jellyfish Entertainment trainee. – Jun was a trainee for 7 years and during that period he almost debuted 3 times. – He participated in “I Can See Your Voice” S4 ep. 7 as a skilled vocalist. – He had a cameo appearance in “I Need Romance 3”, “Meloholic” (ep 2), “Age of Youth 2”. – Jun, Donghun, and Wow were in Kdrama called “Persevere, Goo Hae Ra”. They made a short appearance as a Kpop group called Impact. – Jun can play the guitar and the piano. – Jun was a participant in the idol rebooting show ‘The Unit’ (He ended on rank 21st). – In the dorm, Jun & Kim Byeongkwan are sharing a room. – In university, before going to the army, Donghoon made it to the TOP 10 in Superstar K5. – He was in a group called Plan B. 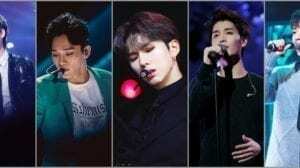 – Pre-debut he did a cover of “Good for You” and “Heaven’s Door” with Eric Nam, using Smule karaoke app. – Donghun appeared on “I Can See Your Voice 4” on Episode 4 and won the episode. – Donghun was in 2014 tvN’s “I Need Romance” and on “Age of Youth 2”. 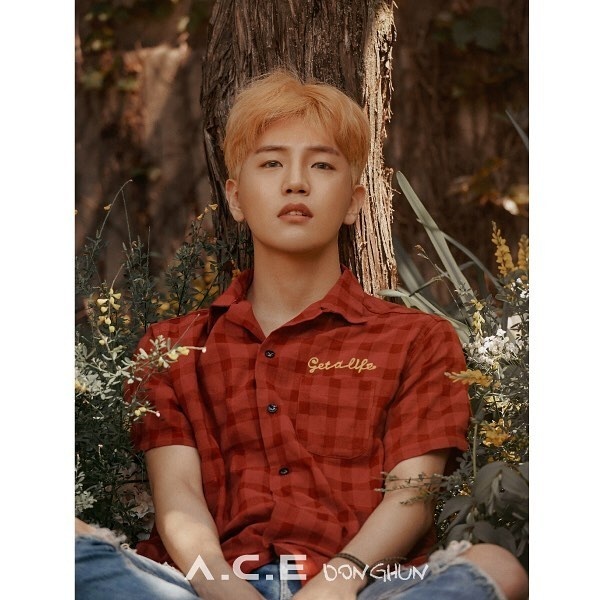 – Donghun also appeared in ABC Mart CF. – They said that Donghun is the strongest member. – Donghun said that he has the saddest voice and eyes in the group. – His nickname when he was young was Dongdong. – His hobby is watching movies alone, he likes to watch romantic movies. – He said on Twitter that his favorite color was purple. – Donghun is participating in YG’s new survival program “MIXNINE”. – In the dorm, Donghun & Wow are sharing room. – He was born in Jeolla-do, South Korea. – Wow has a younger sister, Kim Eun Suh (former SIXTEEN contestant and also a contestant in Idol School). – He attended Plug In Music Academy (a.k.a Seungri Academy) before he entered YG. – Wow, Jun and Donghun, were in Kdrama called “Persevere, Goo Hae Ra”. They made a short appearance as a Kpop group called Impact. 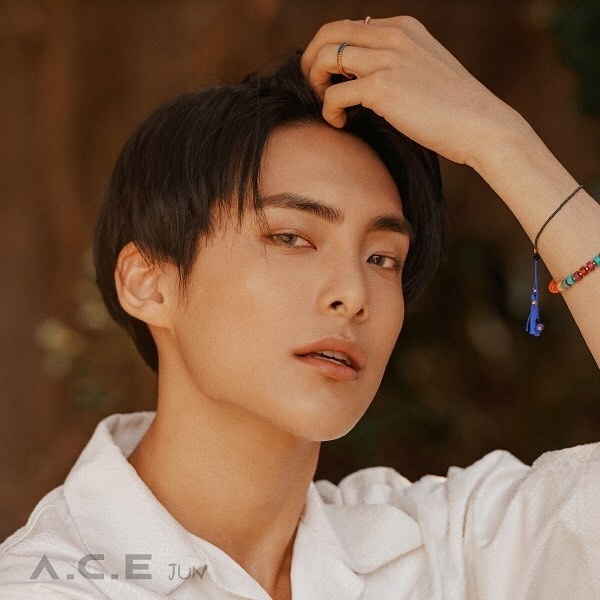 – He appeared on “Age of Youth 2” along with the other A.C.E members. 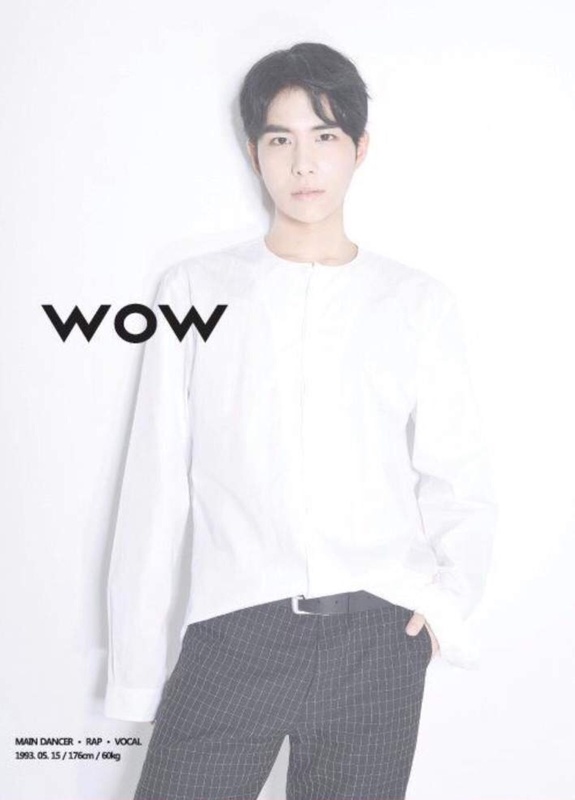 – Wow is the girl group dancer in the group (he danced on Arirang radio). – The members said that he has the most muscular legs (Arirang radio). – Wow said he’s the best in having no facial expressions. – Wow is good friend with BM from K.A.R.D. 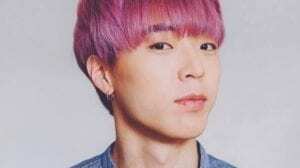 – His hobbies are watching movies and shopping. 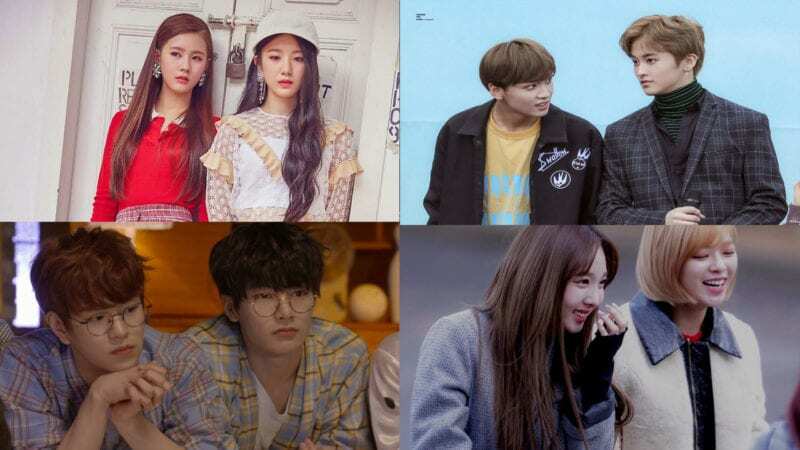 – Wow is participating in YG’s new survival program “MIXNINE”. 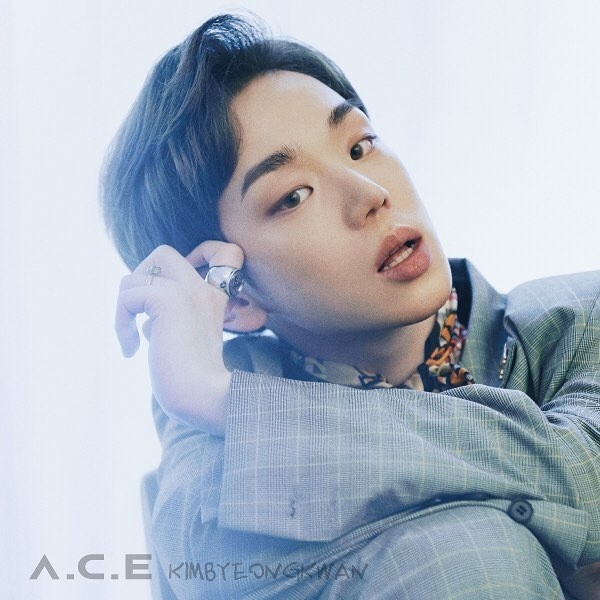 – He took part in writing the lyrics of “Take Me Higher” (A.C.E’s 3rd comeback single). – In the dorm, Wow & Donghun are sharing room. – After he came out from Hanlim Multi Art School, he participated to different auditions but kept getting eliminated in the 3rd round. – In 2014, he won the JYP’s 11th audition stage and trained in JYP until sometime in 2015. – He trained under JYP along his bandmate Chan. – He was a member of a dance team called “Urban Boyz”. – He said that he has the lightest skin among the members. – He said he often wears lenses but his natural eyes color is bright brown. – He lived in Canada for 8 months when he was in the 5th grade. – He can speak English. He talked to fans on Facebook live going back and forth with Korean and English. – He was a participant in in YG’s survival program “MIXNINE”. – In the dorm, Kim Byeongkwan & Jun are sharing a room. – Chan was in JYP for 6 months with Jason. – He was part of dance team called Alive87 (specialized in popping dance). – Both Chan and Jason trained together under JYP Entertainment. – Chan once cried while training with Donghun and Jason. – Chan’s favorite color is yellow. – Chan’s ideal date is at an amusement park and at the movies. – Chan appeared on Sixth Sense Hit Show [JTBC] (he used a rabbit costume, and danced to H.O.T – Candy). – Chan appeared in Twice’s Like Ooh Ahh MV, as a zombie with Stray Kids’ Chan. – Chan was a MC for EBS2 tv Ginga Minga Aha Show. – He appeared on the drama “Marry Me Now”, as a high school student. – Chan was participant to the idol rebooting show ‘The Unit’ (ended on 9th and will join the debuting team). – Chan had his debut with UNB on April 7, 2018, so he’ll promote with them for a while. – On August 6th 2018, Chan was involved in a minor car accident. – Chan’s ideal type: Someone who he can share a conversation with and talk well with as he think communication is important. Thank you so much for adding them!! There was a girl group with the same exact name last year; did they have to buy the rights to the name or does is not matter since they disbanded? 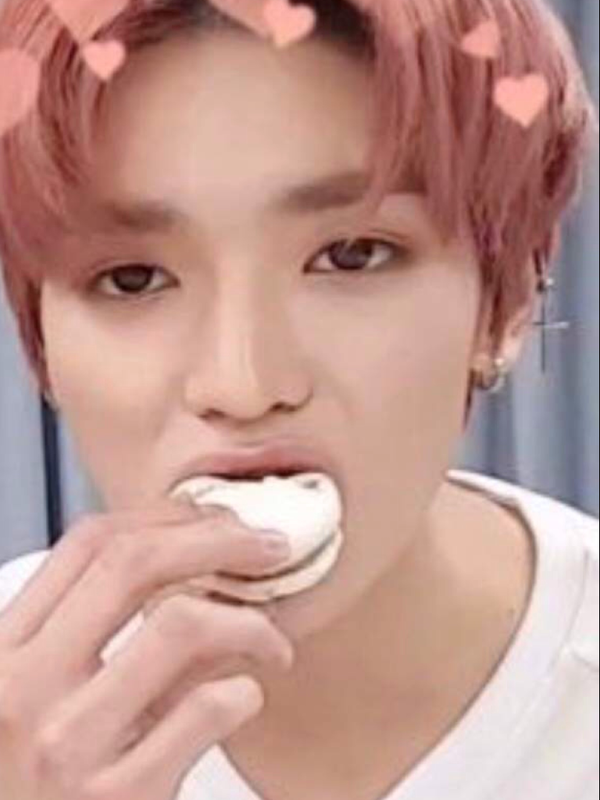 Am I the only one with a wow bias??? Yes??? Okay more for me. From a few videos on their YT channel I feel like Jun is the leader though. 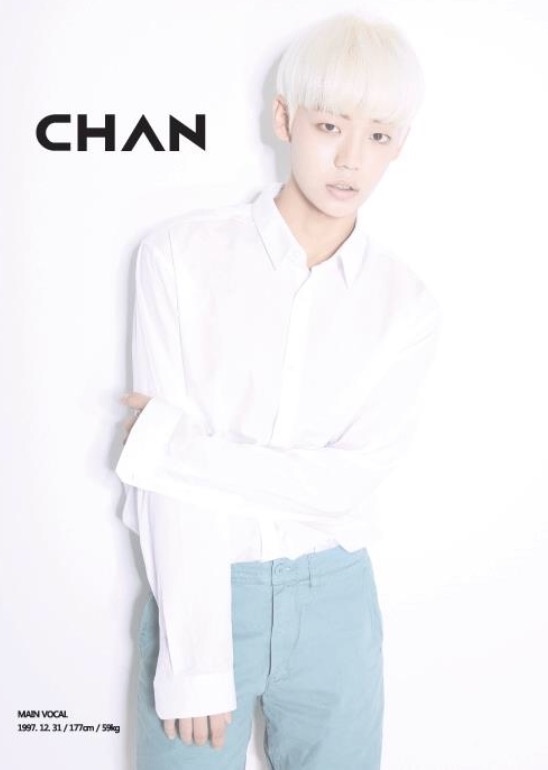 i’m torn between wow and chan! Can any of them speak fluent English? this might be an additional info for Jason. 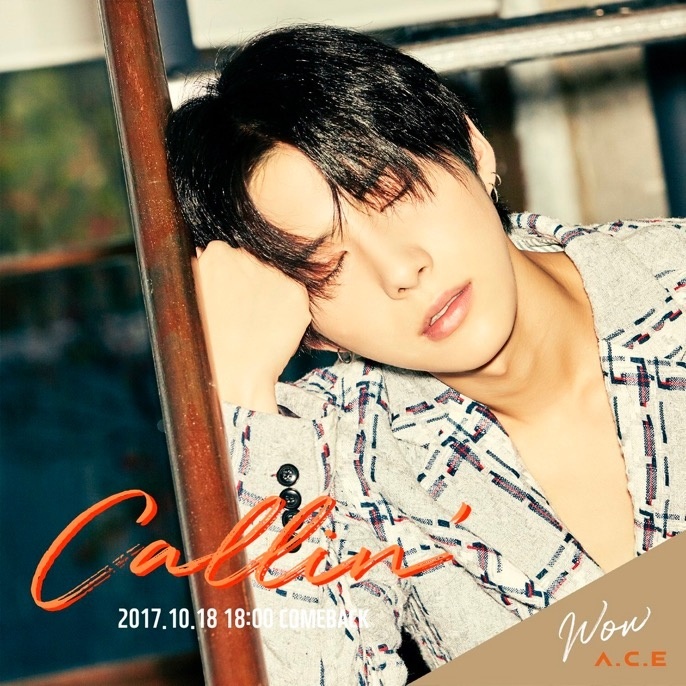 I saw from a comment on one A.C.E. videos (i forgot which one) that Jason was a trainee in JYP carrying the name BK.So I tried to search if this is true and found some videos of him during audition and training. It says there that he won the JYP’s 11th audition stage in 2014 and trained in JYP until sometime in 2015. Here are some of the links. This news made me excited. 😀 Thanks!!!! Please add in under Jun’s facts that he participated in I Can See Your Voice S4 as a skilled vocalist! Donghun appeared on ICSYV4 and reached final stage with GOT7 too! Donghun is my bias. I love his voice and I was totally amazed about his performance on I Can See Your Voice. 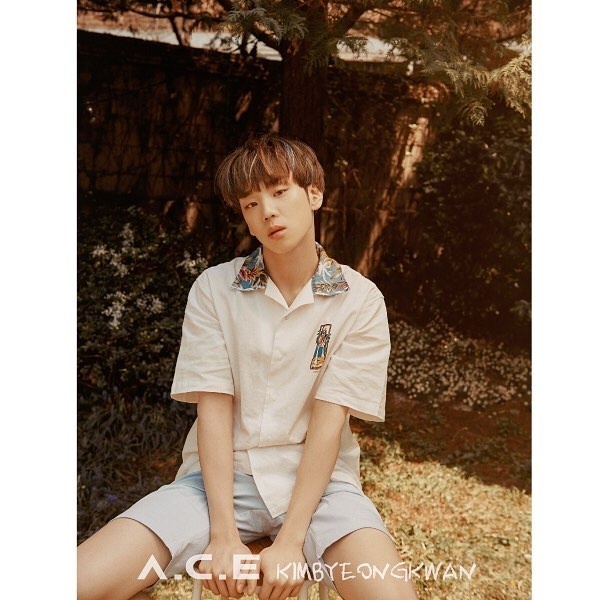 Hi i use some facts for posting in my twitter fanbase (ace_ina) with credit full from kprofiles. Btw thanks for the information, is it allow if i use others fact to posting on my twitter? They are debuting in May. Who messed up and told me they were from BigHit? Jun, Donghun, and Wow was in Kdrama called “Persevere, Goo Hae Ra”. They made a short appearance as a Kpop group called Impact. Donghun was not in I need a romance 3. 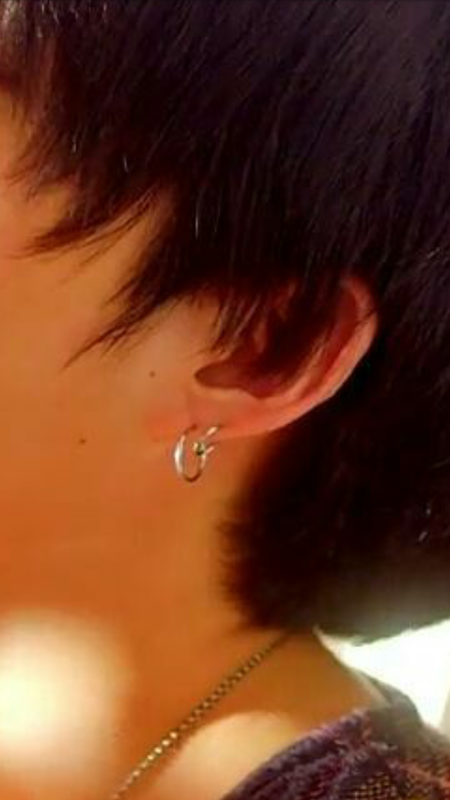 It was Jun who made the short cameo appearance. Can’t wait for these babes to debut. Their all perfect. 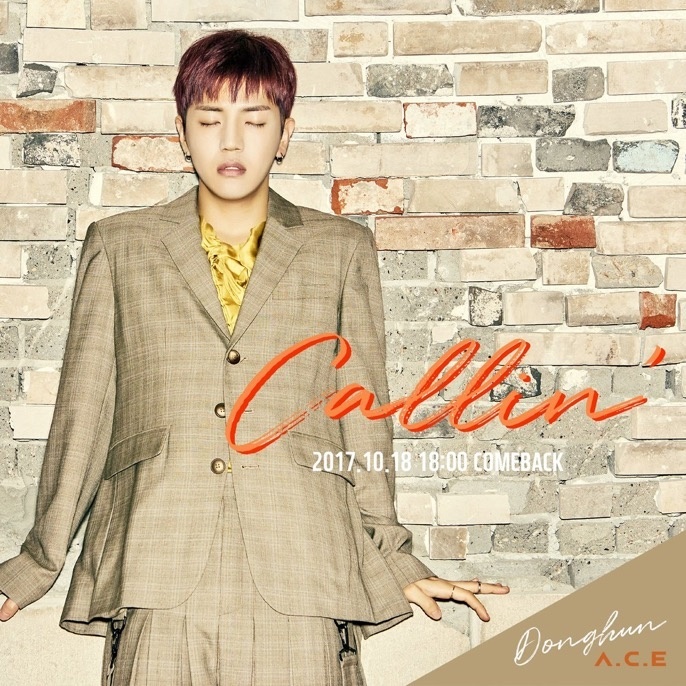 I like donghun and jun because of i can see your voice 4…if donghun dont appear on icsyv4.. Then i wont know a.c.e till now.. Because i search of donghun… I found that he is an idol on Youtube… But why he didnt introduced hinself as a.c.e member on icsyv4 like Je up Imfact in ep 1..
a.c.e is debuting May 23. A FRIENDLY REMINDER TO YA’LL!! 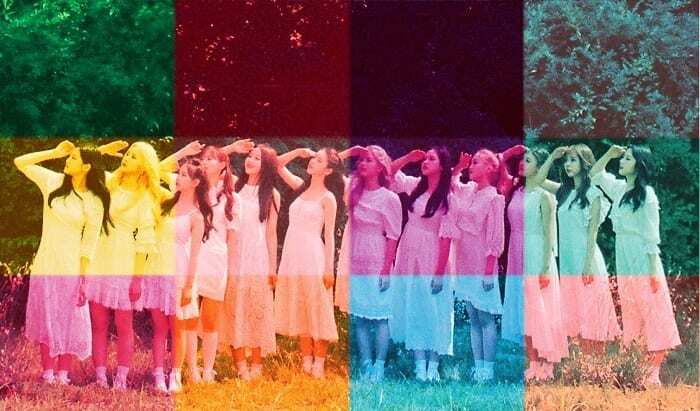 THEY ARE HAVING THEIR DEBUT THIS 23RD!! Sorry i keep commenting a lot but I’m trying to give as much information as possible ! https://uploads.disquscdn.com/images/27128390da985a531d8215a528c3bdf4a17a38e90052df89203ac6e408fdfa7e.jpg this is wow’s concept picture! 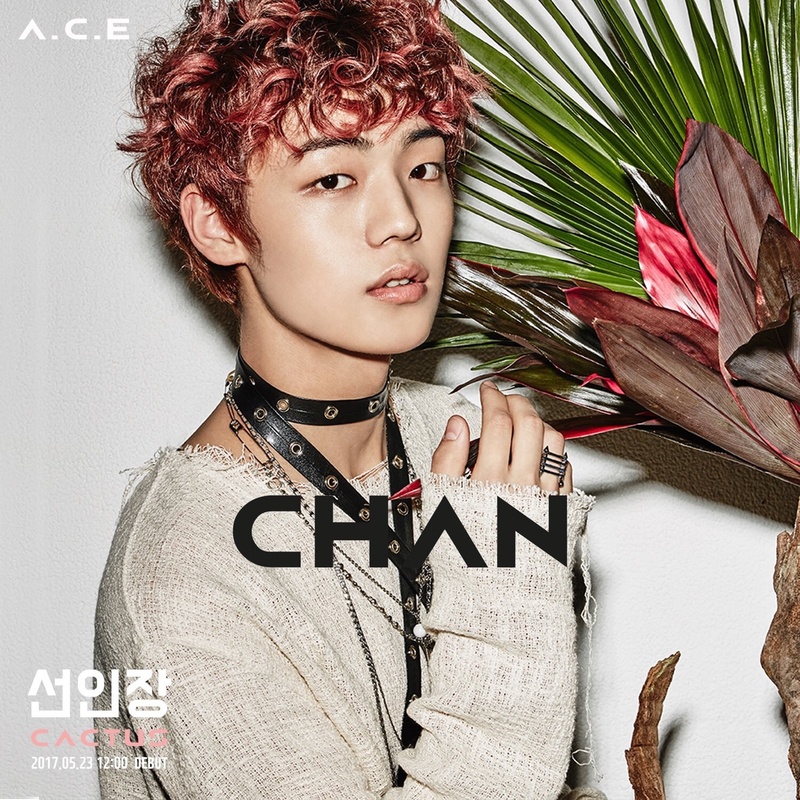 Okay here is Jason’s and chan’s concept pictures! 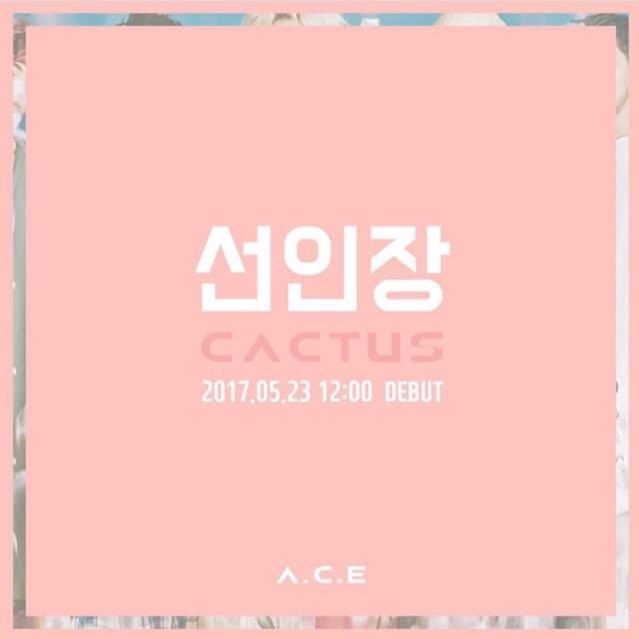 The fandom name is CHOICE,they announced it in a recent facebook live. 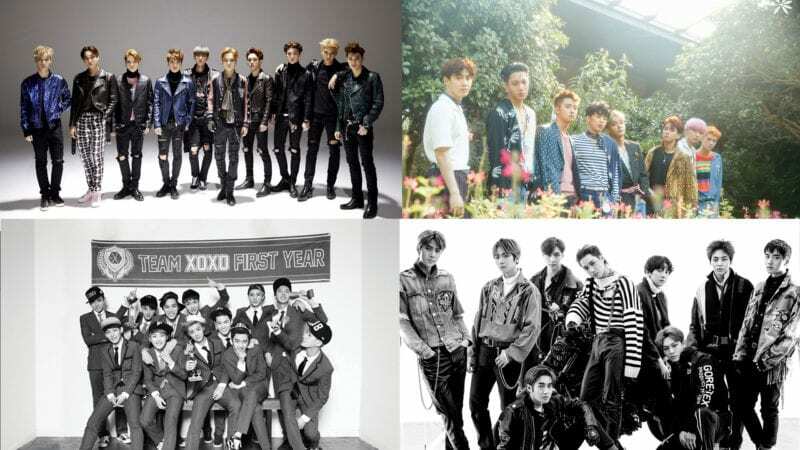 The fandom name is Choice !!! Don’t know exactly how fluent but Jason and Chan have spoken English in their fb lives after posting their concept photos. I’d like to add that Jason and Wow danced Lia Kim’s Sing choreography with Lia Kim ONSTAGE AT Pentatonix’s Korean concert! All members except Jun (he was performing in Peste that night) attended the concert and they took pictures with Avi and Scott afterwards. Lastly, the boys used to train with the actor Kim Minjae (who Wow’s in the hug me video with)! He was in Impact with Jun, Wow, and Donghun in Perservere Goo Haera. There’s a video of Minjae busking with Jun, Wow, and Donghun again and two other boys in 2015. It was probably because they hadn’t debuted yet; when jun introduced himself I don’t think he brought it up either. theyre from beat interactive ! oh!!! is that their agencies name? awesome – thanks so much. 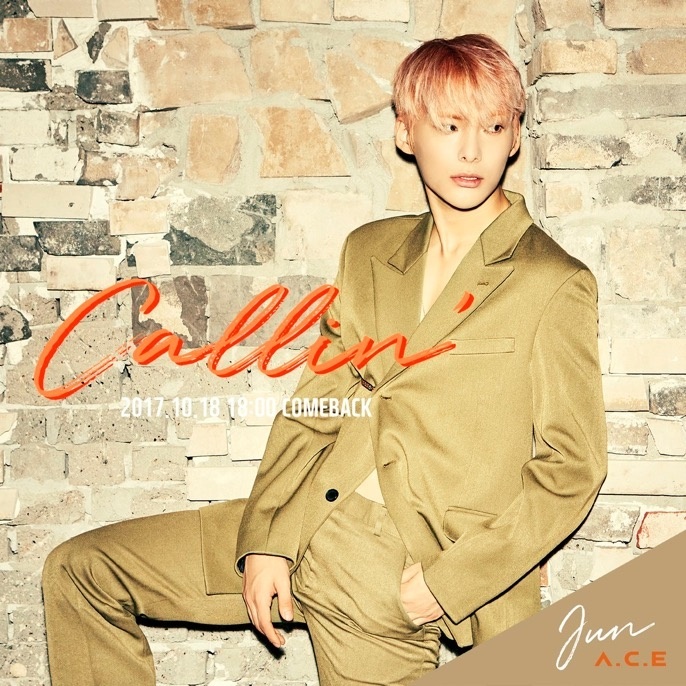 thanks heaps for that…Lia Kim and Koosung Jung did A.C.E a HUGE favor….the style is VERY different to anything I have seen. I totally Love it!! Chan is the most adventurous the group said live on arirang radio. OMG JASON AND I HAVE THE SAME BIRTHDAY!!!!! Is it just me or does Wow look a lot like UNIQ’S Yibo?? Hi! 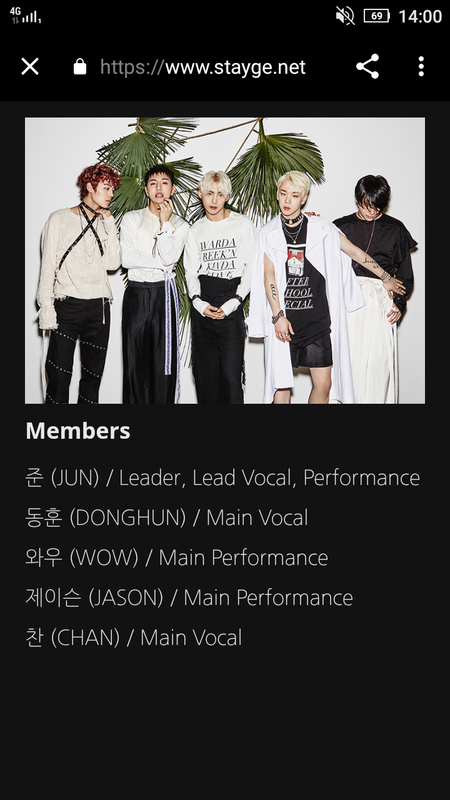 I would like to make a correction on Jun’s profile- it says that he was part of ICSYV s4, except it was actually only Donghun that performed there. Donghun’s partner was a former BTS backup dancer, not Jun. Jun also participated but in ICSYV season 4 episode 7 and he was among the skilled vocalists but didn’t win. Donghun won ICSYV season 4 episode 4 with his partner. 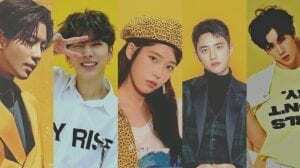 I don’t want to just choose 3 member as my bias!!!! I’ve seen all their thighs and therefore bias the whole entire group!!!! Have you you not seen their M2 performance?! You need to!!! Check it out!!!! He has such an amazing voice!!!! I was so happy he actually won! Such an amazing performance even if their outfit are a bit strange! 😀 Thanks for sharing! Love it! Donghun said that he has the saddest voice and eyes in the group. 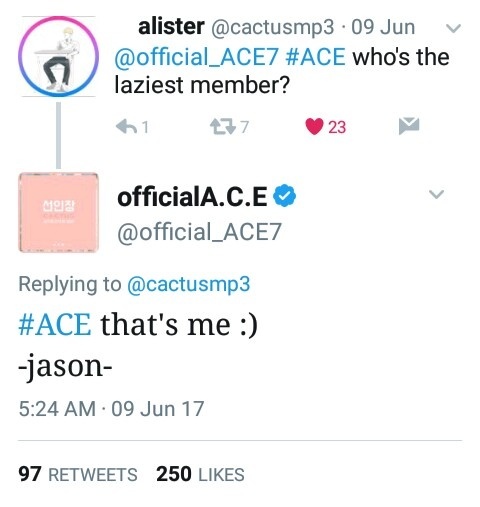 Jason said that he has the lightest skin among the members. 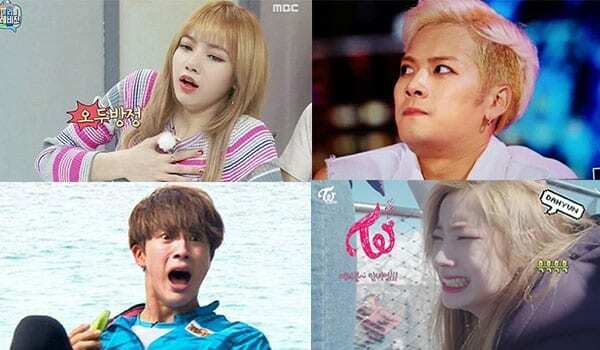 Wow said he’s the best in having no facial expressions. Donghuns eyes always look like he’s ready to cry at any moment. I want them (Chan, Jason and Daehwi) to meet up. Or are they actually know each other? Hmmm, seems legit. Hi! May I add some information? I apologize in advance for my mistakes in the text, I’m not english. I hope you can understand me. Thank you! –About Family (I took it from CACTUS album Thanks to https://twitter.com/callmemind/status/868024102442762240): Wow has young brothersister (unknown who actually). Jason has brother. Donghun has brother, mom and dad. Jun has dad, 3 sisters (but one of his sister passed away, mother and Grandma too, another 2 sister older than him). Chan has 2 brothers, mom and dad. 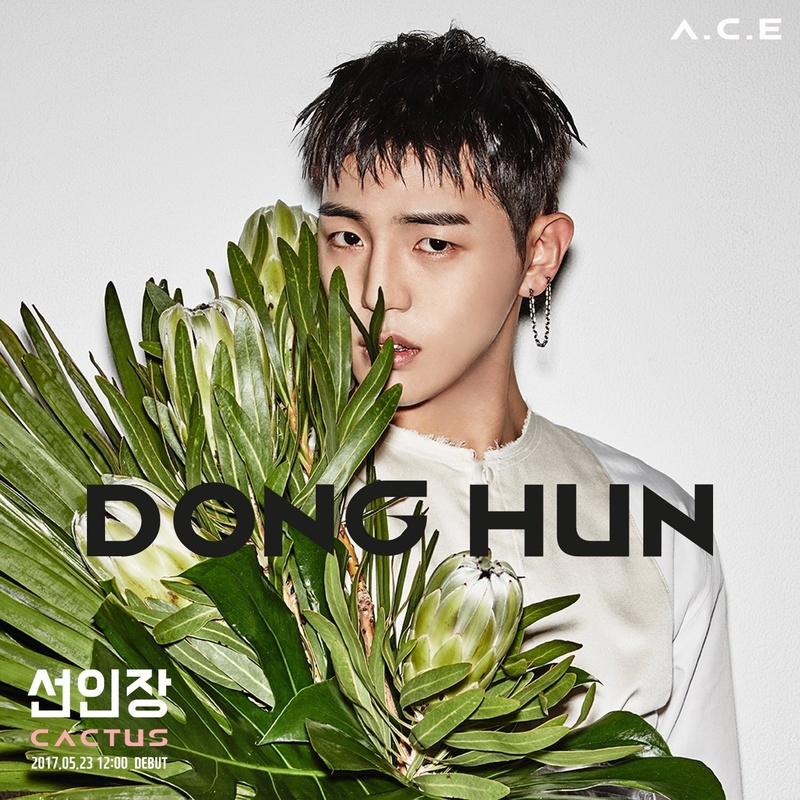 Donghun is my bias ! He has an amazing voice and he works so hard. Proud to be a choice TT. He said on Twitter that his favorite color was purple, btw ! OML.. what event is that? Or are they actually a boy group before? this group is sooooo talented!!! I thought Chan was one of the rappers as Well? Jun with Lia Kim dance to maroon 5 – dont wanna know (Donghun & Chan watching at the right side). Jason can speak English. He talked to fans on Facebook live going back and forth with Korean and English. I dont know if this fun state can include in profile, makestar also include some cringy slogan. As far as we know MIDI stands for ‘Musical Instrument Digital Interface’. – Jun watched Rain’s Rainism in middle school, which inspired him to be a singer. He found a music academy and started to learn about music. – At 18, Jun made it into Jellyfish Entertainment so he came to Seoul. 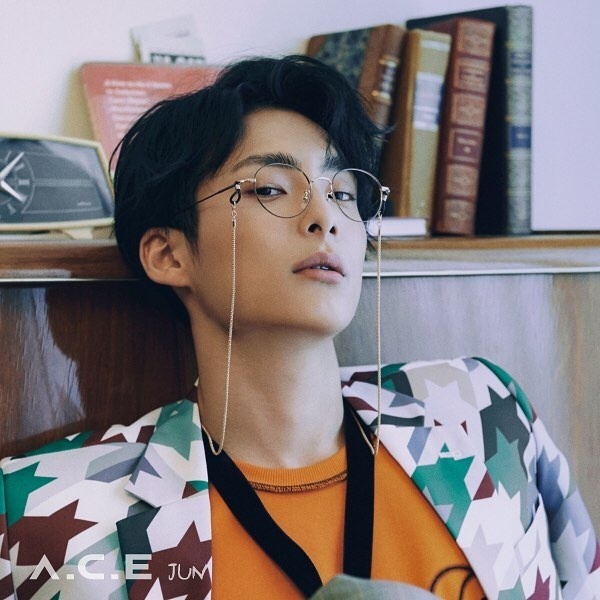 After 3 months, he gave up and returned to Suncheon, but he wanted to do music again so he auditioned and became a trainee for CJ Entertainment for 3 years. His plan to debut was demolished, however because there were no plans to make a boy group, so he left. – Donghoon’s mom is good at music.His mom received the grand prize on a program called ‘Dojeon Jubu Gayo Star,’ which inspired him to become a singer too. – In university, before going to the army, Donghoon made it to the TOP 10 in Superstar K5, which gave him the opportunity to enter his current company. – Wow went to a music academy in his teenage years. His friend kept crying when they heard him sing. 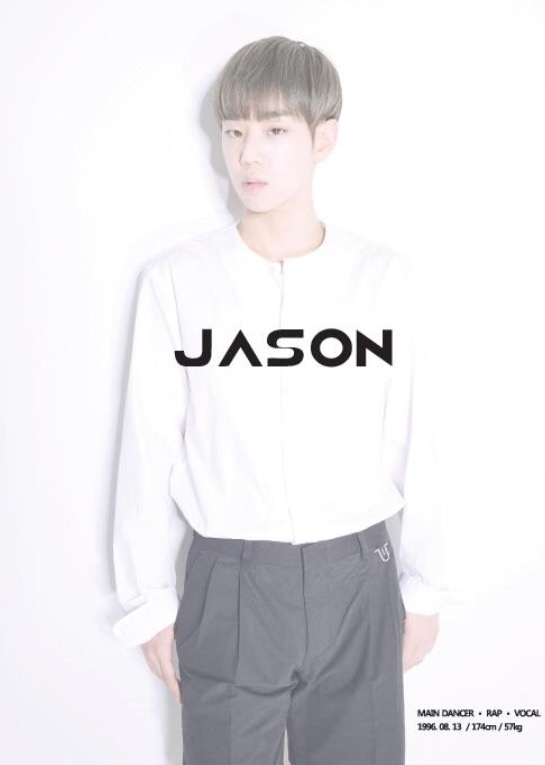 – Jason was inspired to become a singer after watching Rain’s Rainism. He told his father the next day and immediately enrolled him into a dance academy. – After getting eliminated from ‘KPOP Star Season 1,’ he entered YG, but was eliminated from there so he started to train continuously. After he came out from Hanlim Multi Art School, he went for auditions but kept getting dropped out at the 3rd round. He wanted to stop getting eliminated so he stopped practicing dance and focussed on music. He gave himself a last chance to attend the recruitment for JYP and managed to get 1st in the audition. He got into the company that he had dreamt of but for a long time, friends younger than he rose up instead of him. He had no choice but to leave the company. He came out with Chan and they practiced together. – Chan did not want to become a singer from the start. His parents had a record store but it didn’t influence him. From elementary school to middle school, he was a soccer player, but couldn’t be one because of the circumstances. After entering high school, he enrolled in a dance club. sorry, I mean Donghun and Seyoon dance as back dancer for HiNi – clutch bag. 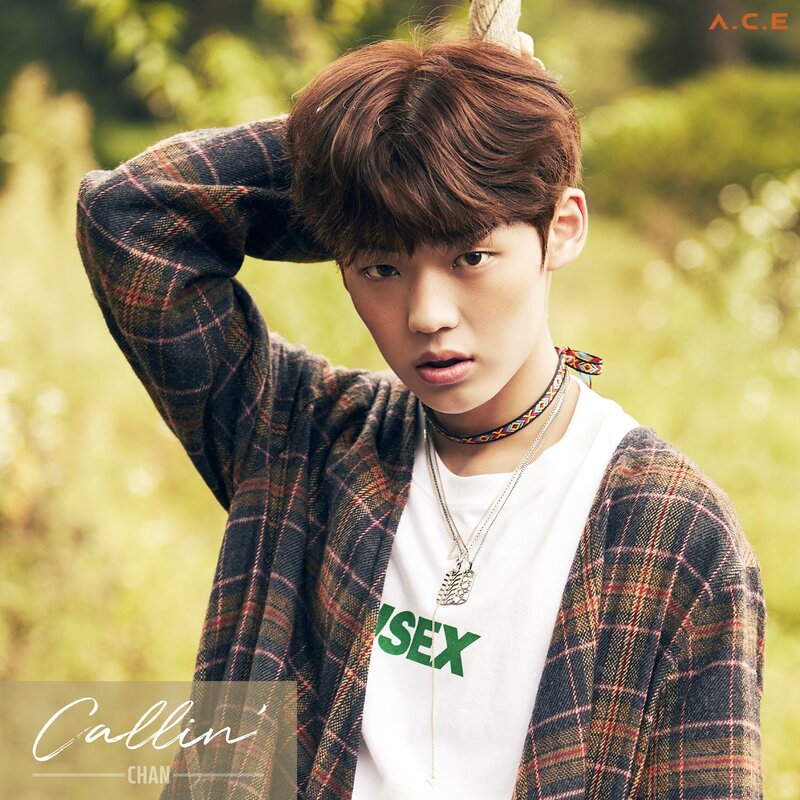 Donghun also fill in back vocal for HiNi – clutch bag. Chan is a lead vocalist. may i ask when was this announced? 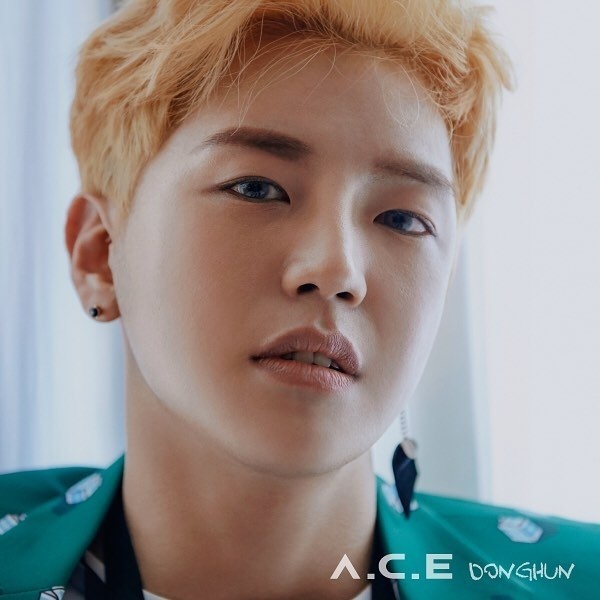 Donghun, I think he released a digital single before debut, don’t he? Ah! And Jason was there too!!! Can any of you catch that? 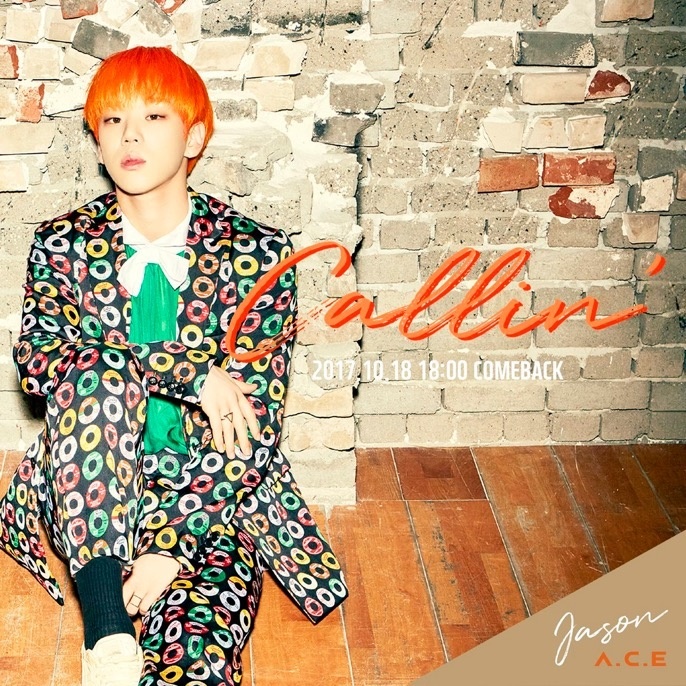 Jason is behind the glass door with a.c.e former member name hakdol. 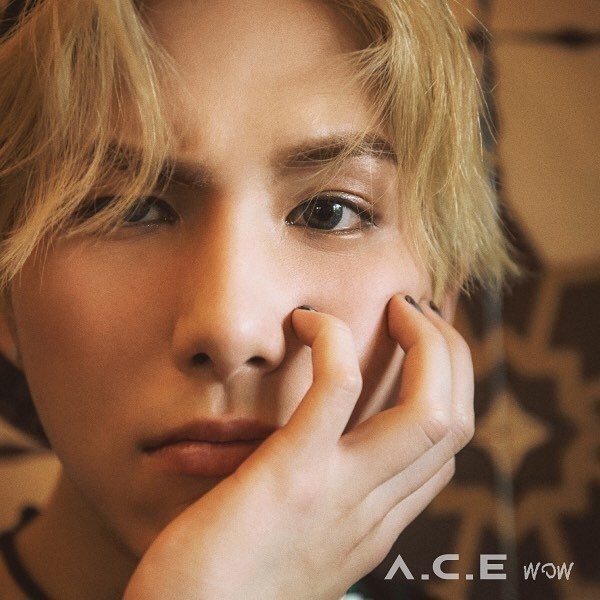 Is this profile only talk about a.c.e individually, or it can also talking about a.c.e as a whole? Like what a.c.e as a team do when predebut. Jun has been confirmed for the idol rebooting show ‘The Unit’. I got so upset when i heard about that. Why must he be in that show…. Are you sure wow is the visual? 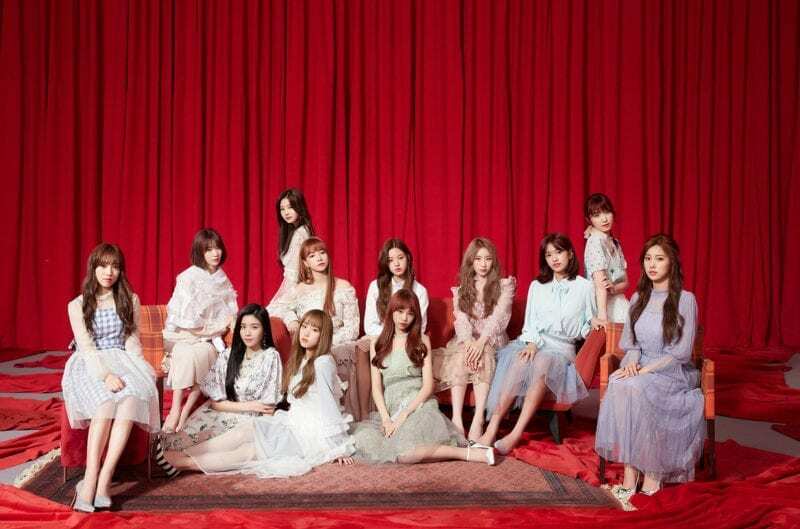 Their fans page didn’t say so..
Members said that wow visual is marvelous in several interview, but they didn’t state there will be a visual in this team. Please correct me if I’m wrong with a source. I’m confused. 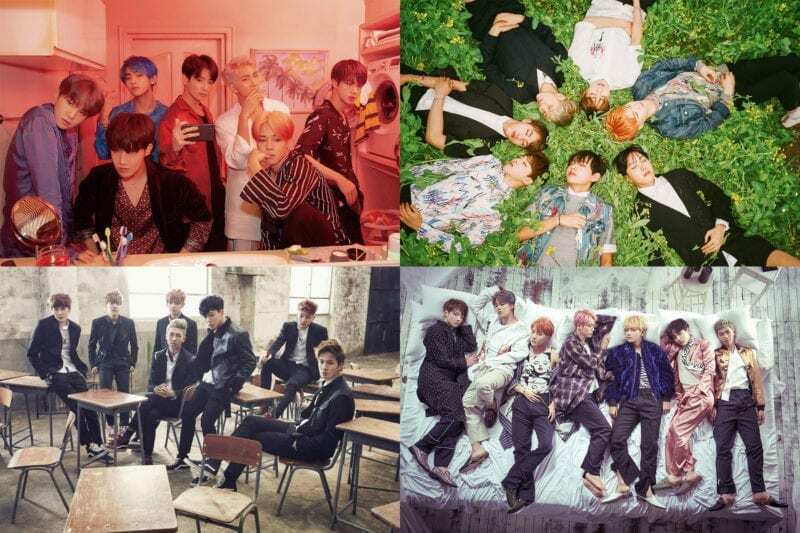 Can you update the photos to the new comeback pictures? Jun used to be in Jellyfish entertainment. Are they going to disband or what ? i don’t understand!!! 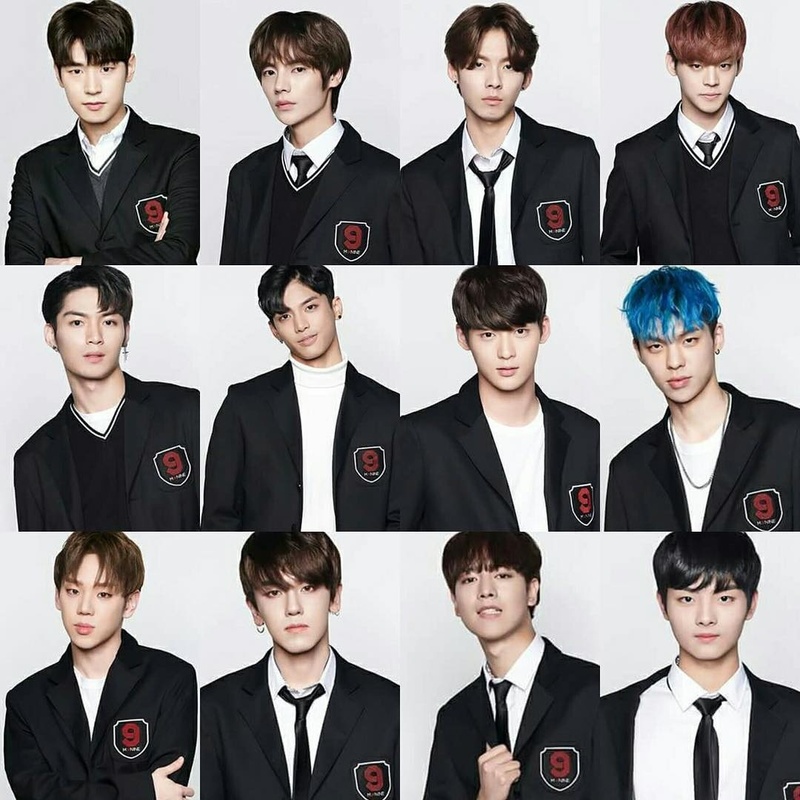 3 member at mixnine and 2 member at the unit. 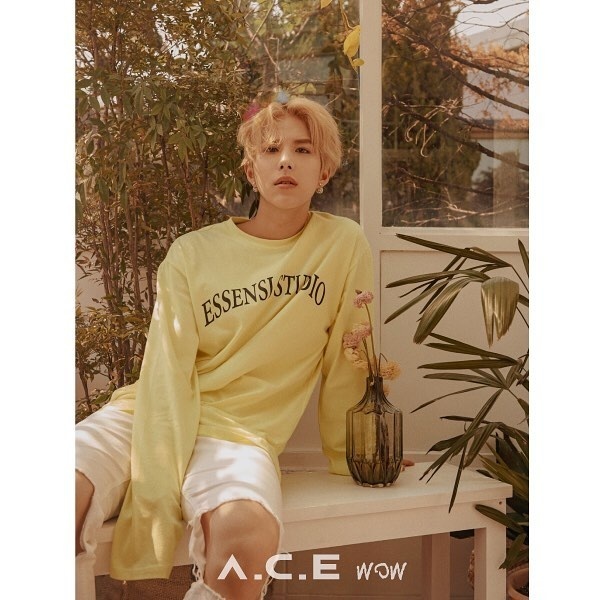 According to the A.C.E Callin’ album photobook, Seyoon/ Wow romanizes his name as Sehyoon and Chan/ Yoochan romanizes his name as Yuchan. Donghun romanizes his as Donghun, so that one is correct. Thanks for telling how they are written in the album! More romanizes versions are accepted, as it usually happens with Hangul. I think you should change the romanization to Kim Seh Yoon (Sehyoon) and Kang Yu Chan (Yuchan). 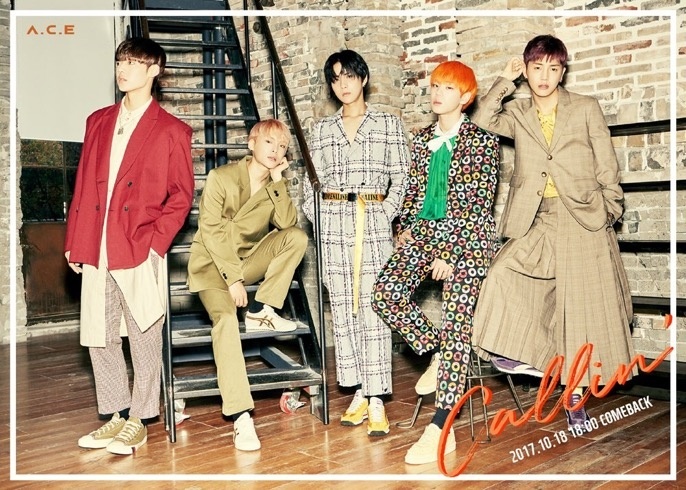 They wrote their names as that in the Callin’ album info pages, so that’s the way they romanize their own names and also what they want their names to be romanized as. Donghun used to romanize his name as Donghoon too, but then he changed it to Donghun. Somebody even emailed Beat Interactive and Beat said it is indeed Sehyoon and not Seyoon in order to shut up the people arguing against it on Twitter. I think you should add a bullet point about how fans previously romanized their names before knowing what they preferred? Not sure if that is a big deal though. Chan appeared in Twice’s Like Ooh Ahh MV, as a zombie with Stray Kids’ Chan. You can see them close on Jihyo’s part on the treadmills. He was on the right side of Jihyo. I think It was just editing. He said “with that song”, not “with Ringa Linga”. They also appeared all together in the drama “Age of Youth 2” as a popular Kpop group in episode 4. Sehyoon/Wow’s sister in Idol School :O Was pretty popular too! In mixnine Jason (ranked 4th) and Donghun (ranked 8th) hence they are set to debut, while WoW finished 11th overall. 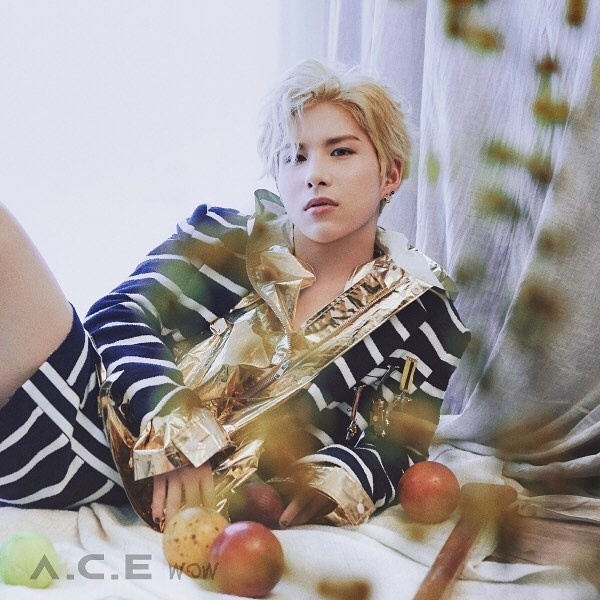 i just cant get my eyes off sehyoon too handsome, its okay he didnt make the cut for mixnine. 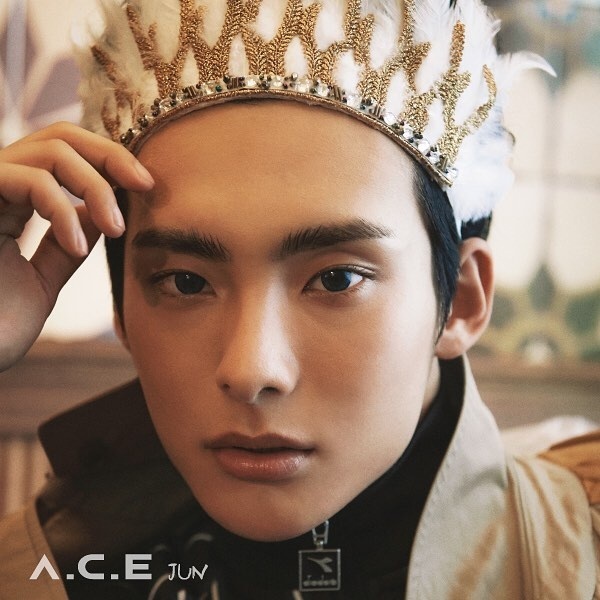 i will look forward on A.C.E stage. make it happen guys! Jun placed 21st on the Unit and was eliminated in the third elimination. Chan ended in the top 9, at 9th on The Unit. In a.c.e’s iqiyi interview they each said their hobbies. Jun likes listening to meditation music, Jason likes playing computer games, chan said he likes to do calligraphy, Donghun likes watching movies, and wow likes movies and shopping. Jun almost used the stage name ‘Ocean’ (it got rlly big in the fandom since then xDD) and he’s close to MVP’s Rayoon. 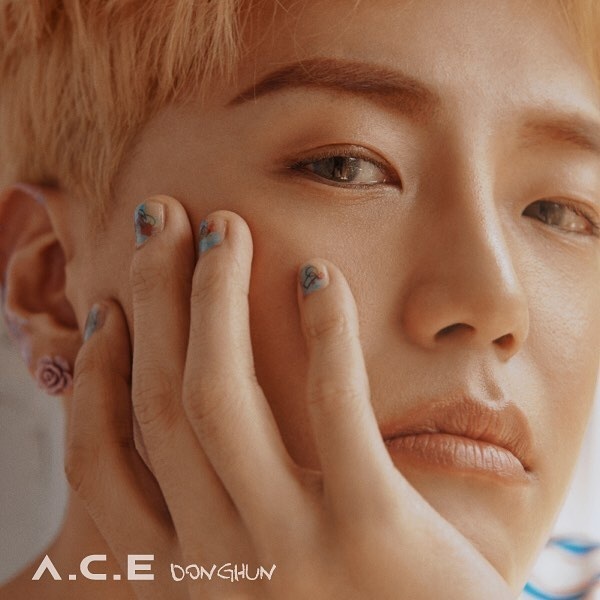 Donghun is close to ONF’s Hyojin and 7Oclock’s A-Day (Song Hangyeom). Chan’s family owns a tangerine farm in Jeju and he’s friends with SVT’s Seungkwan, U-Kiss’ Jun, and many contestants from The Unit. Chan respects Seventeen the most. He and Seungkwan are from the same hometown in Jeju and they’re also friends. Yuchan’s family grows tangerines and his parents even sent the Seventeen members some tangerines. they never changed stage names. It has always been Jun, Donghun, Wow, Jason and Chan. 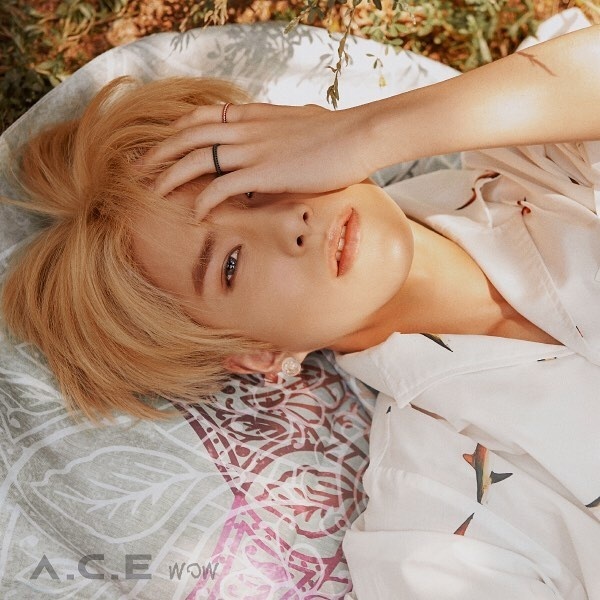 Did you know about A.C.E from The Unit and Mixnine? Cuz the names you listed are exactly the names they used in those programs. Chan just had his debut with UNB with an album on April 7. Chan’s ideal girl is someone who he can share a conversation with and talk well with as he think communication is important. MIXNINE final group debut is cancelled ….. so Jason and Donghun aren’t part of the debuting group anymore??? why am i now just realizing that JASON and KINO from PENTAGON were in the same dance crew? Chan made a speacial appearance on a KBS drama called ‘Marry Me Now’ as a high school student. 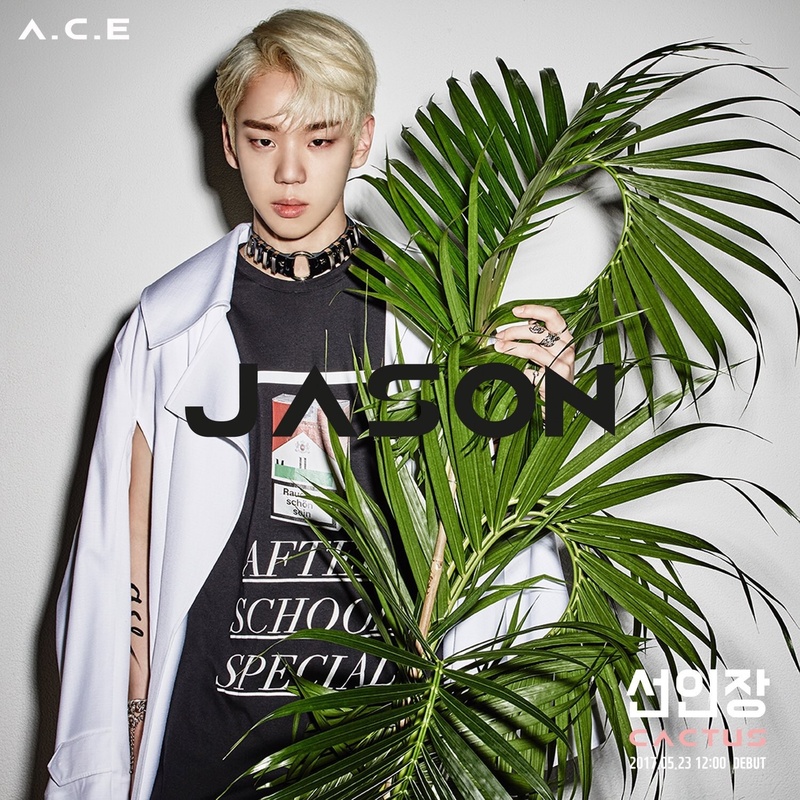 Could you change the pronoun in Byeongkwan’s facts to Byeongkwan instead of Jason? And also add that he changed his stage name? Wow used to train with Winner while he was a trainee at YG. It was mentioned on MixNine in the Ringa Linga Linga section. Seunghoon said that. (I’m not sure about who it was). But it was definitely a member of WINNER. He auditioned with Ringa Linga Linga and got into YG Entertainment. He never entered YG, where is this from? Also, can you please add that Wow was attending Plug In Music Academy (a.k.a Seungri Academy) before he entered YG. 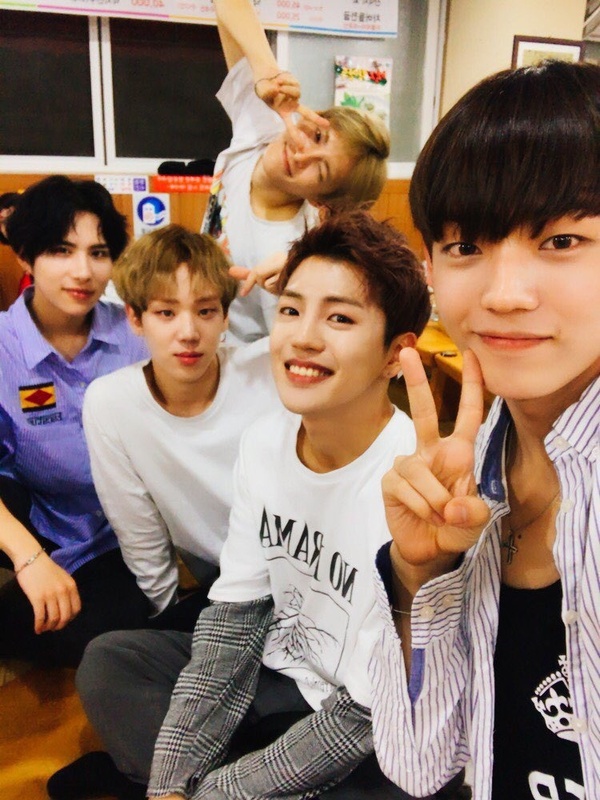 Donghun was really close with Seven O’Clock’s A-Day and ONF’s Hyojin on Mixnine. I thought maybe you could add that? 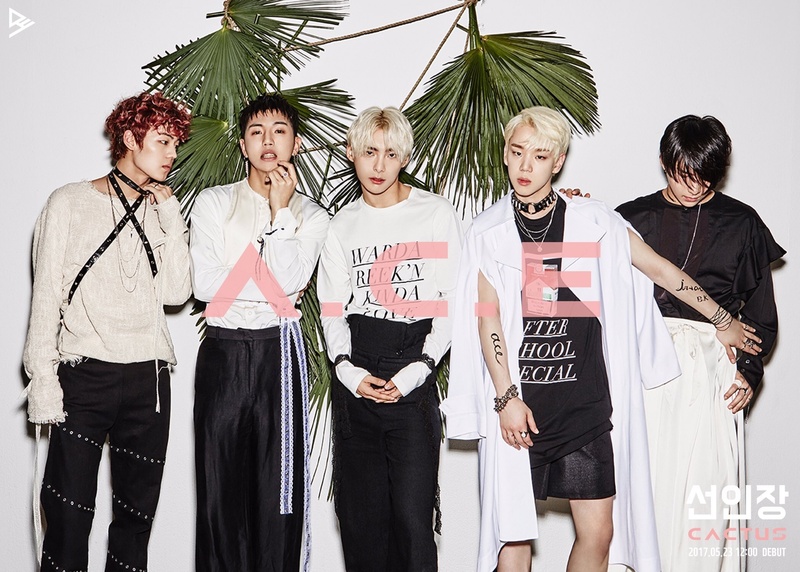 Wow took part in writing the Korean lyrics of Take Me Higher (A.C.E’s third comeback’s title track). that’s in the unit, not here, can was never considered as part of the dance line. you can see in their dance vids that are individual or unit ones, its nearly always jun, wow, jason. Chan only had vocal practice videos other than the group cover videos. 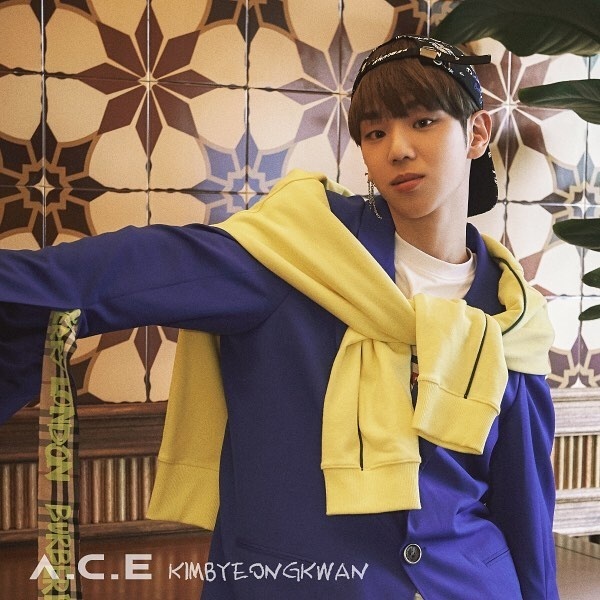 Byeongkwan definitely my bias wrecker & Wow is my bias. 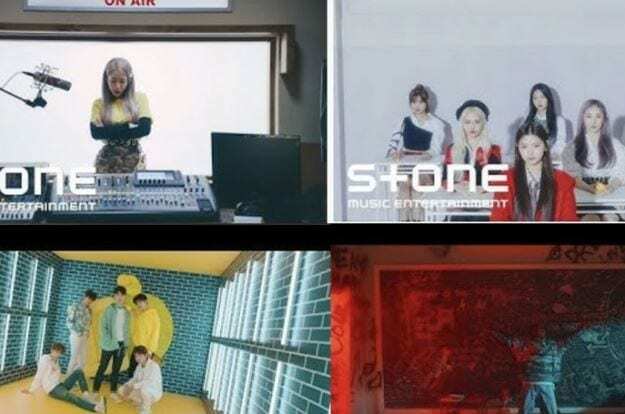 Take Me higher should definitely take A.C.E. to the next level, and their popularity should start spreading, because everything in the mv was so on point. Chan’s ideal date is at an amusement park and at the movies. Donghun: watch movies alone, he likes to watch romantic movies. Jun was a trainee for 7 years and during that period he almost debuted 3 times. Jun, Wow and Chan snore when they are really tired, the members haven’t heard Donghun or Byeongkwan snore. 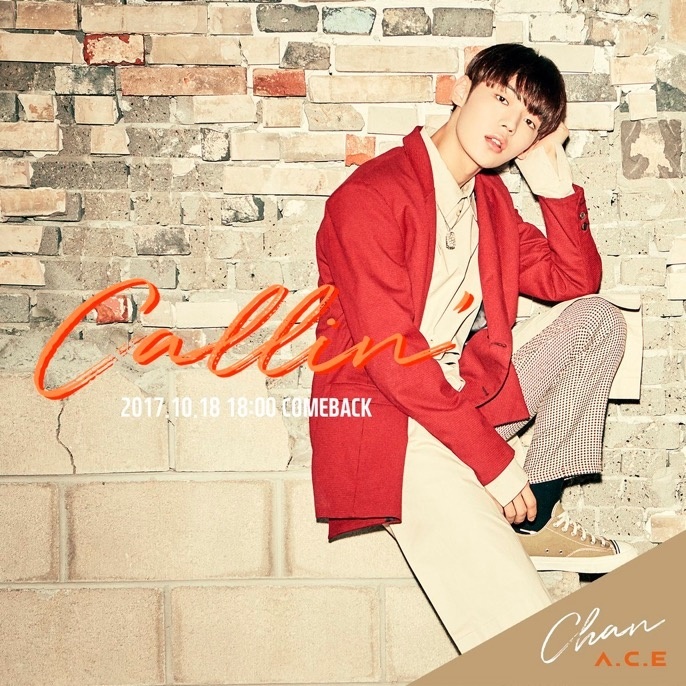 Chan was reportedly said that he was involved in a car accident. It was not major though. He is currently resting at his dorm according to his doctor’s recommendation. This is how they introduse themselves when they need to do it properly, usually they both just say “Main performance”. Their positions are symmetrical, just like Donghun and Chan are both Main vocals, while only Jun has all the “lead” positions. 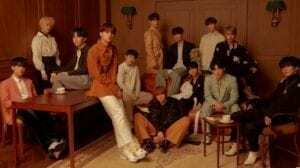 – Chan and Wanna One’s Kang Daniel knows each other and are good friends; they played dart together in the backstage at Soribada Awards 2018. – Chan can speak English. They recently collaborated with Hcue and this is the song. Yoochan appeared in Like Oh Ahh along with Bang Chan? He said on a radio interview because he used that name as signature for song arrangements. Byeongkwan isn’t the lead vocalist. Only Jun has this position. 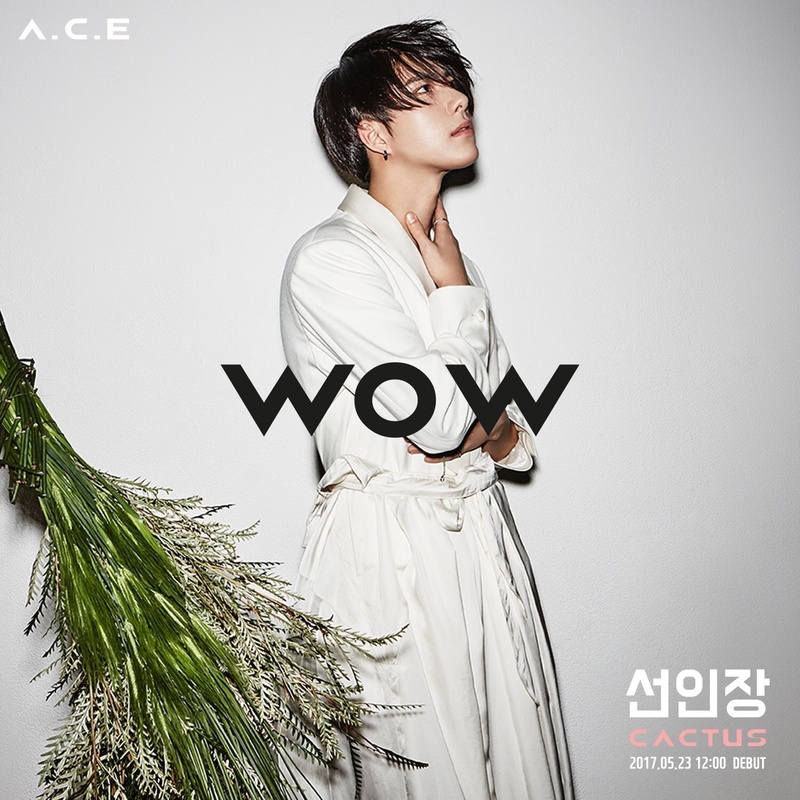 And Wow isn’t the visual, A.C.E don’t have official visual. 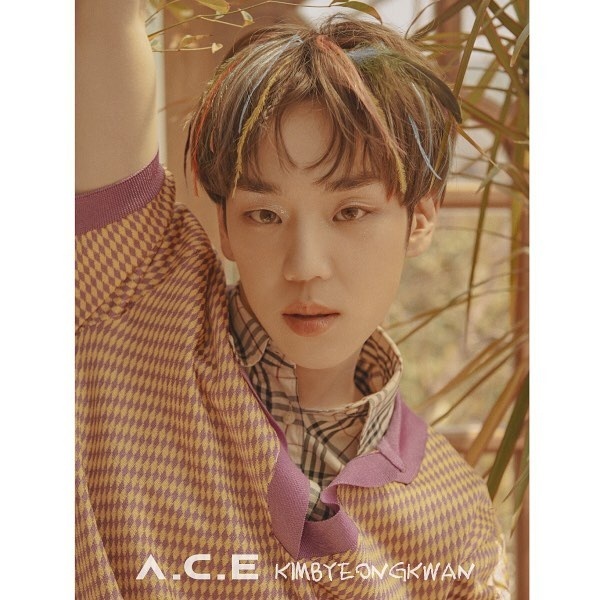 His name is Byeongkwan. Not Jason! Please change it. 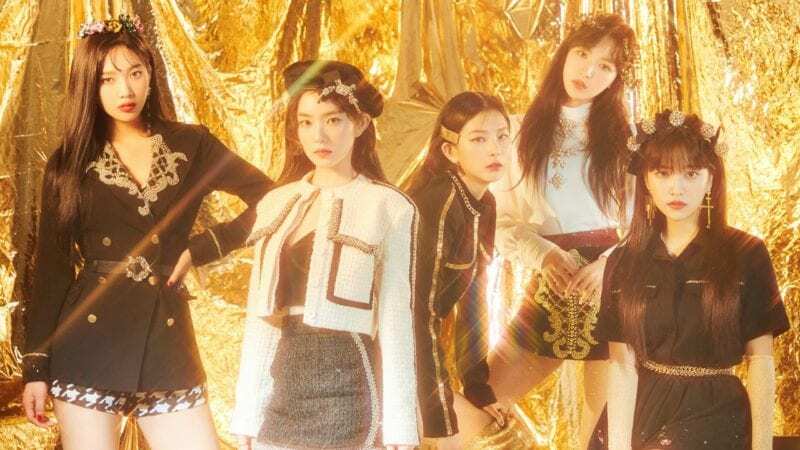 Can you update their group photo to this? In this one you can see their faces and it’s from the same era as the one up there. 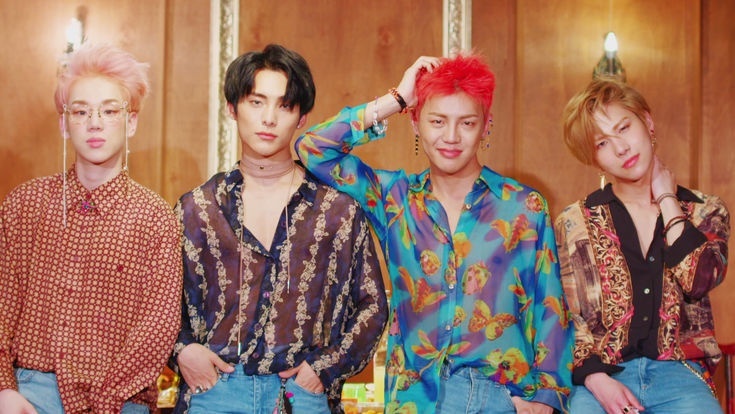 On Marth 8th 2019, A.C.E had a concert in Dublin, Ireland. While that might not seem like much to a lot of people, as an Irish K-Pop fan it was truly ground-breaking. 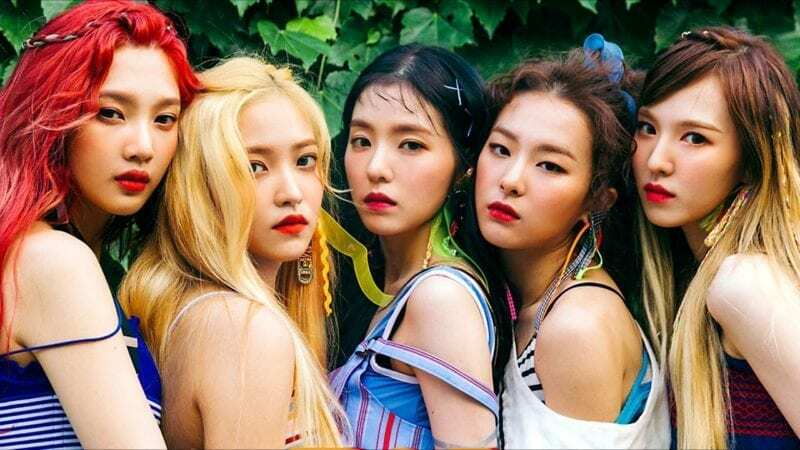 They are the first ever K-Pop group to have a concert in Ireland. It was amazing!! 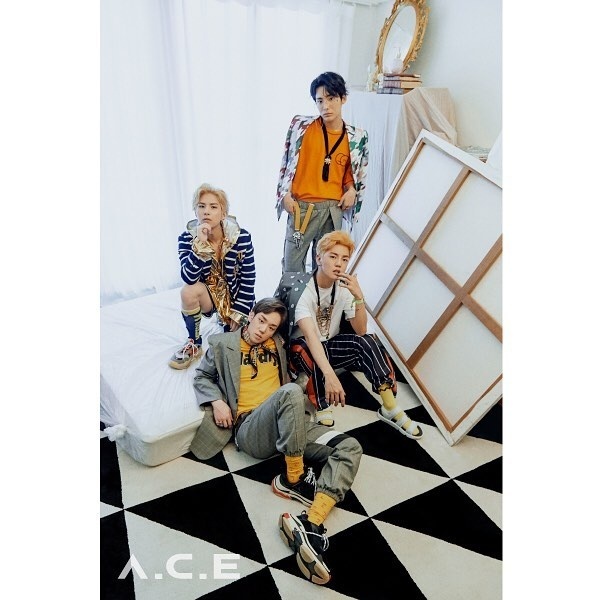 Stan A.C.E!! !